“The Indian Manufacturing. com” aims to support the Indian Manufacturing Companies to grow profitably while creating World class Excellence Standards in Products, Processes and People ! Providing Services to the Indian Manufacturing Companies to attain World class Excellence standards in their processes, products and people. 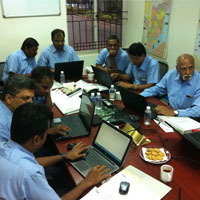 Bringing the views of Leaders and Experts on Manufacturing related topics for the benefit of the users. Bringing out the stories of Successful Mid sized Entrepreneurs for the benefit of Young Entrepreneurs who are on the starting blocks ! 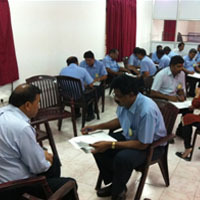 Providing short explanation of many Management concepts that are in use in Manufacturing Companies. Providing Services to the Manufacturing Companies like ‘Exchange for Job openings in the industry’, ‘Finding Expert services for the Manufacturing Companies’. Bringing out Expert views on several topics of interest to the Industry through its’ "TIM Digest"
The Indian Manufacturing.com team includes Srinivas a Professional with more than 28 years of experience and Mr. P.S.Rao, a Senior Professional with about 40 years of experience. Srinivas is a Commerce graduate, Cost and Management Accountant and an MBA (Strategy) by education.Srinivas started on his own after working in the Industry for more than 25 years. His last job was with Elgi Equipments limited as their Executive Director. Srinivas had contributed in a significant manner to the fivefold growth of Elgi Equipments limited from 2006 to 2013. 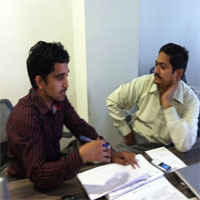 He designed and implemented the Business Systems for Elgi Equipments limited. He led the implementation of Lean Manufacturing in Elgi which resulted in about 300% improvement in the Labour Productivity. 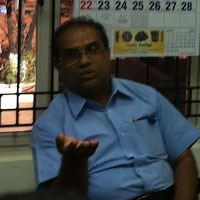 Srinivas was instrumental in implementing Work Management System at Elgi which was based on TQM Principles. Srinivas headed Operations, Technology & Development, Business in China, South East Asia and Oceania during his tenure in Elgi. 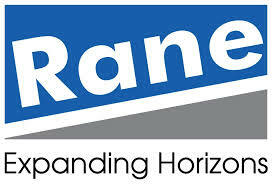 Srinivas earlier was part of the senior team in Rane Brake Lining limited (RBL) as their Vice President (Operations). 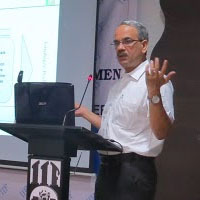 Srinivas led RBL along with the other senior team to win the Deming Prize in 2003. Srinivas handled the Company’s Hyderabad plant for ten years and turned its’ operations around to make it an efficient unit. This Plant was earlier a separate company which RBL acquired in 1994. Srinivas also was involved with a few other companies where he worked in Marketing, IT and Finance . 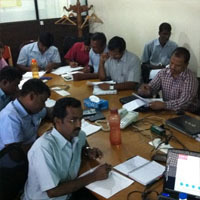 Srinivas was trained as “CEO Coach” by Coaching foundation of India in 2013. 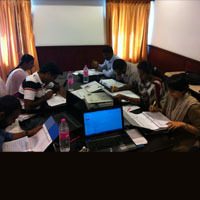 Since then Srinivas Coached / Coaching Entrepreneurs and Senior Executives. These Entrepreneurs have realized some excellent benefits! P.S.Rao (63) is an alumnus of IIT, Bombay. He is an accomplished Senior Management Professional with about four decades of varied experience in diversified manufacturing industries across the country. 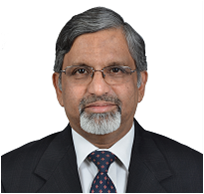 He is currently Advisor, Rane Group – a diversified auto component conglomerate with about Rs. 4000 crores turnover – advising in areas such as Business Excellence, Senior Management Leadership development and others. Prior to this he was CEO of Rane Brake Lining Limited (2005 to 2015) - a Domestic Market Leader manufacturing friction material for all Auto OEMs and Rail Industry in the country and also has equity participation from reputed Japanese collaborator. 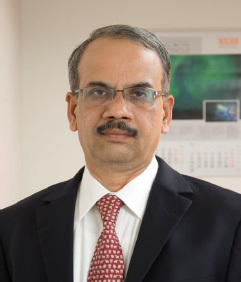 Under his stewardship and diligent implementation of TQM / TPM initiatives, the company has been able to retain Market Leadership position in spite of stiff global competition and has also won the prestigious Deming Grand Prize – highest honor for Quality from Japan Union of Scientists and Engineers. Prior to this he was Head – Operations at Rane Madras Limited, TI Group and Widia India Limited (wholly owned subsidiary of Krupp Widia Essen, Germany). Rao is also a strong believer in leadership development and talent management as a very important driver for Business Excellence. He has made significant contribution in the areas of business level strategy formulation and execution, development of leadership frame works, driving performance culture with people focus as also cultural transformations during his career. He successfully turned around companies and has also set up Green Field projects. Mr.PS Rao was trained as "CEO Coach" by Coaching foundation of India in 2015. 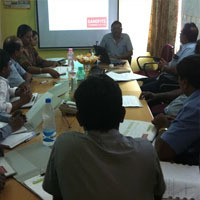 Since then Mr.Rao Coached / Coaching several Senior Executives who have immensely benefitted with the intervention.